Be more human. More than a tagline for Reebok. In February 2015, Sweden’s capital Stockholm underwent a major escalator meltdown across its entire subway system. It lasted for weeks and in some cases people were forced to walk up to 180 steps; a major struggle for a lot of commuters. The breakdown quickly became headlining news in all major outlets in the country. In the spirit of Reebok’s tagline, ’Be More Human’, we thought we should help Stockholmers out. 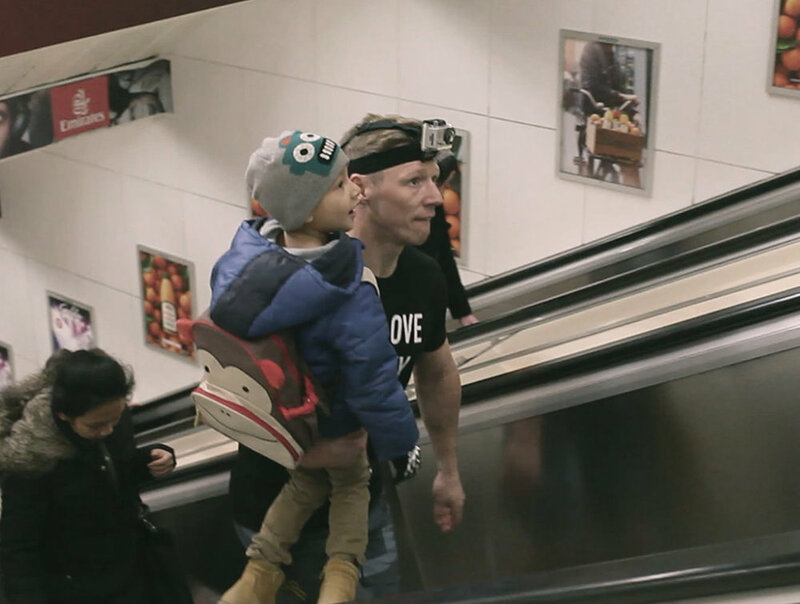 Within 24 hours, Reebok joined forces with a local Crossfit team and hit the subway. Equipped with nothing more than a sponsored t-shirt and a positive attitude, our team helped people carry up suitcases, carriages, dogs and even people themselves. The response was overwhelming. What started out as a local initiative for Stockholmers soon reached 40% of the Swedish population and within days, became a talking point across the globe.